how does microphlebectomy help remove veins? 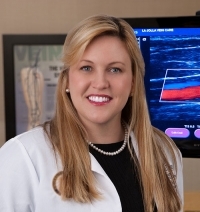 » Watch Next Video by Nisha Bunke-Paquette, MD - Can varicose veins cause health problems? How does microphlebectomy help remove veins? Microphlebectomy is a minimally invasive procedure that is used to remove varicose veins. Unlike traditional vein stripping surgery, the microphlebectomy is performed in the office using only a local anesthetic instead of general anesthesia. Tiny incisions are made at the surface of the skin through which the vein is removed. The incisions are small, about the size of a grain of rice. As result, they heal very nicely without scarring.